France is Paying Commuters to Bike to Work! You’d hope that better health, lower cost and reduced emissions would be incentive enough to push people out of their cars and onto bikes, but in France only 2.4 percent of the population commutes via bicycle. To encourage the uptake of cycling, the nation has decided to start paying people to bike to work! The transport ministry has teamed up with private companies and institutions to pay employees 25 euro cents for kilometer traveled – which could certainly add up over the course of a year. France isn’t the first country to come up with a bike incentive plan. Belgium, the Netherlands, Denmark, Germany and Britain all have bike-to-work programs. 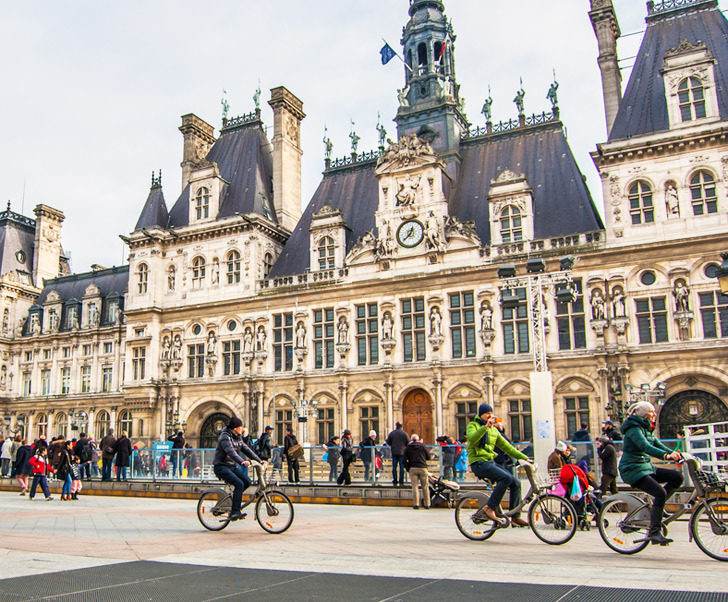 Although there are several countries that offer incentives for people who bike, France’s payment plan is the first of its kind. Ultimately, the ministry hopes to boost bike commuting by 50 percent. Time will tell if the idea catches on in France as a whole, although Parisians have already proven to be open to bike travel. 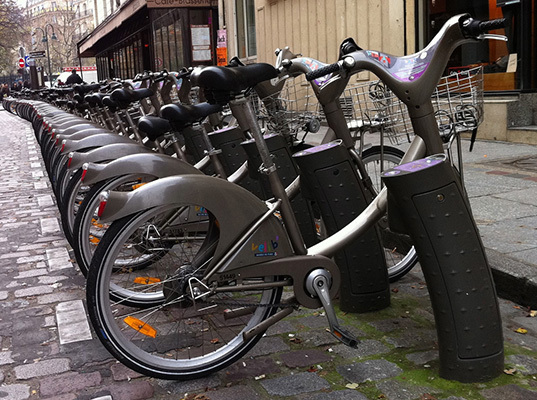 The Velib bike-sharing program in the city has racked up 173 million journeys since opening in 2007. Its probably a lot cheaper than putting even more money into roads. How about skateboarding? I skate to work. France announces plans to pay commuters to bike to work. You’d hope that better health, lower cost and reduced emissions would be incentive enough to push people out of their cars and onto bikes, but in France only 2.4 percent of the population commutes via bicycle. To encourage the uptake of cycling, the nation has decided to start paying people to bike to work! The transport ministry has teamed up with private companies and institutions to pay employees 25 euro cents for kilometer traveled - which could certainly add up over the course of a year.